If you want to see the flow of the various rivers and the streams and springs that flow into them this web app from the USGS is very nice. 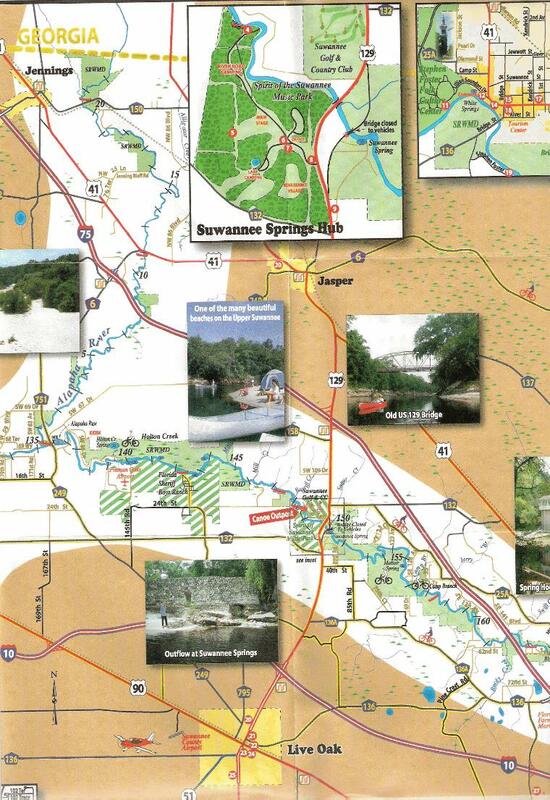 Part of the upper Suwannee - a full version of this map is available for sale at the Suwannee Canoe Outpost. 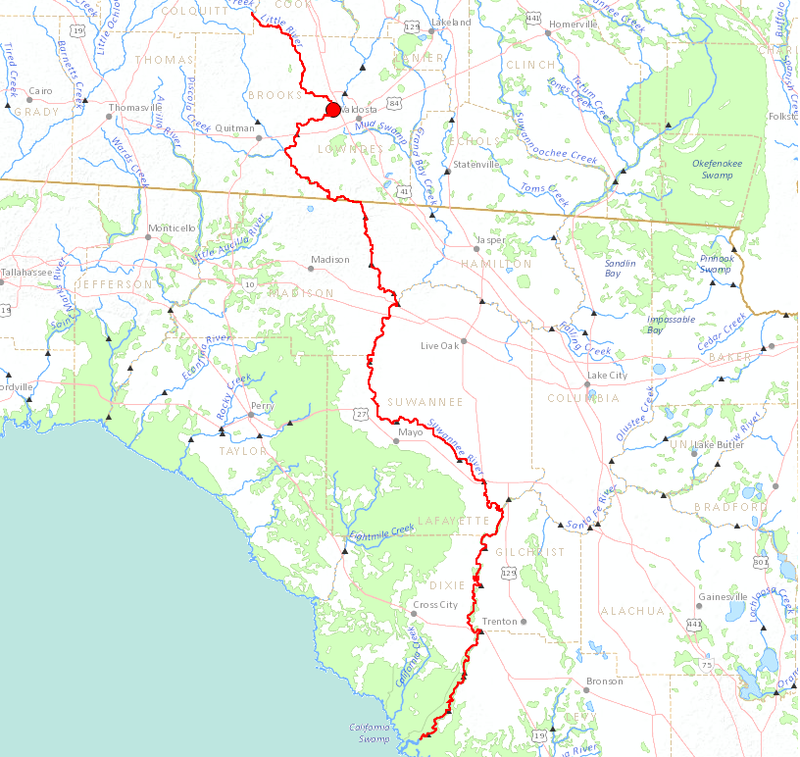 Suwannee Stream Flow - This map shows the flow of the Suwannee River from the Okefenokee Swamp to the Gulf of Mexico. The red dot on the map indicates our upper most put-in. 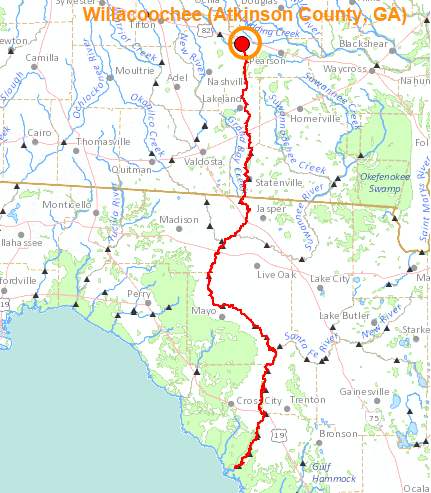 North Withlacoochee Stream Flow - This shows the flow for the North Withlacoochee from where it starts near Valdosta, GA until it joins the Suwannee, then flows into the Gulf of Mexico. The red dot is the spot of our upper most put-in on this river. 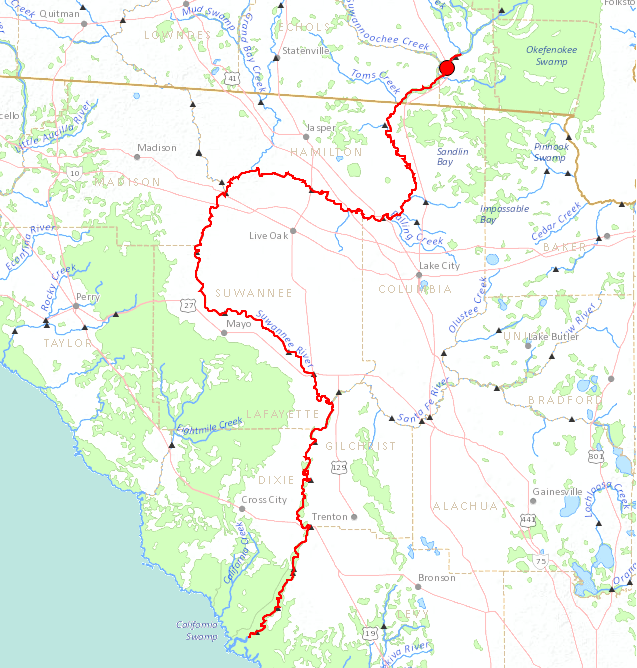 Alapaha Stream Flow - This is the complete flow of the Alapaha River from north of Cordele, GA to the Gulf of Mexico. The red dot is the location of our upper most put-in on this river.